On a recent canoe trip up the York River near Bancroft, I notice that our cool, wet summer has made several trees begin to change there leaves to fall colours. 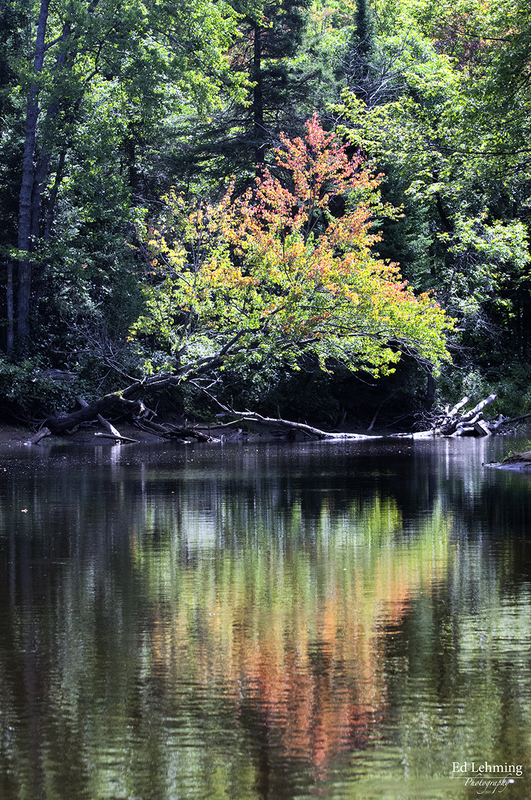 Along the York River I was treated to the marvellous effect of gradually changing colours. The tops of the trees are in full fall splendour while the bottoms, closest to the warmer water are still green. I am hoping this effect continues for a while so I can see more of it in the upcoming weeks. This entry was posted in Photography on September 1, 2014 by Ed Lehming Photography.